Dreman's Kemper-Dreman High Return Fund was one of the best-performing mutual funds ever, ranking as the best of 255 funds in its peer groups from 1988 to 1998, according to Lipper Analytical Services. At the time Dreman published Contrarian Investment Strategies: The Next Generation, the fund had been ranked number one in more time periods than any of the 3,175 funds in Lipper's database. In addition to managing money, Dreman is also a longtime Forbes magazine columnist. 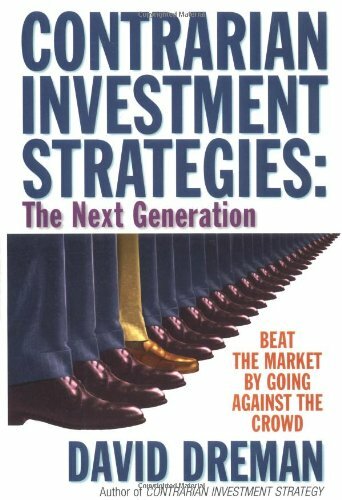 Validea used the investment strategy outlined in the book Contrarian Investment Strategies written by David Dreman to create our Contrarian Investor portfolio. Dreman believed that investors are prone to overreaction, and, under certain well-defined circumstances, overreact predictably and systematically. They typically overvalue the popular stocks considered the "best", and undervalue those considered the "worst", often going to extremes in these over- and under-valuations. Because of that, he focused on stocks that most investors were shunning -- those with low price/earnings, price/book, price/dividend, and/or price/cash flow ratios. Then, to separate stocks that had been beaten down because of investor overreaction from those that were outright dogs, he applied a number of other fundamental tests, looking, for example, for a high current ratio, high return on equity, high pre-tax profit margins, and a low debt/equity ratio.